1.250 lb. 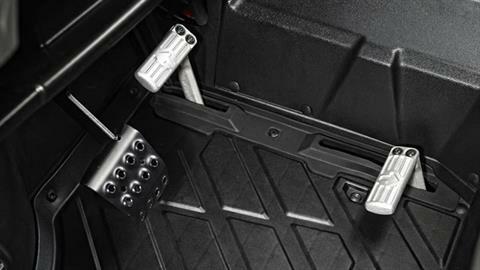 of rear dump box capacity. 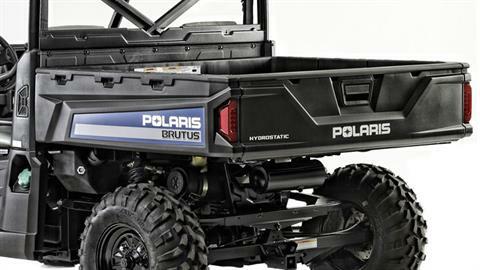 Diesel Power with Hydrostatic Transmission. Treadle Pedal to travel FWD and REV without shifting gears. 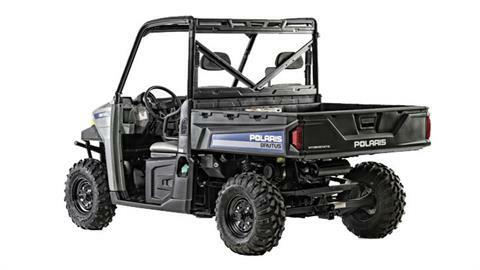 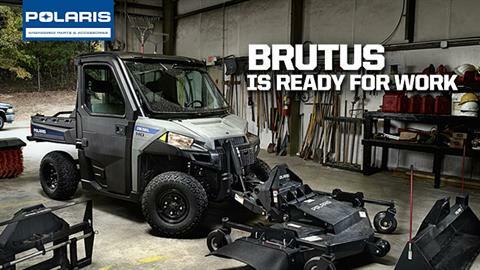 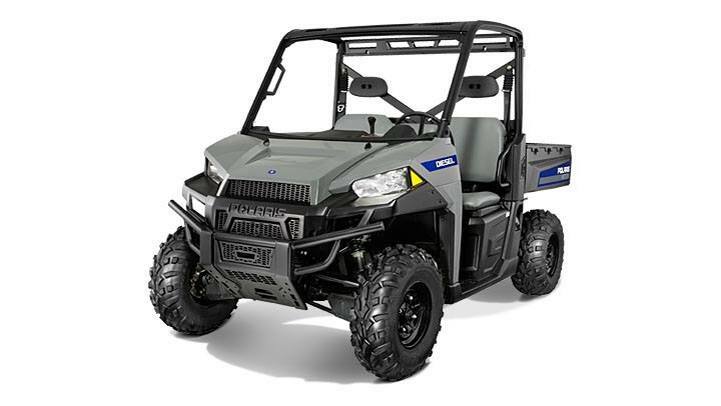 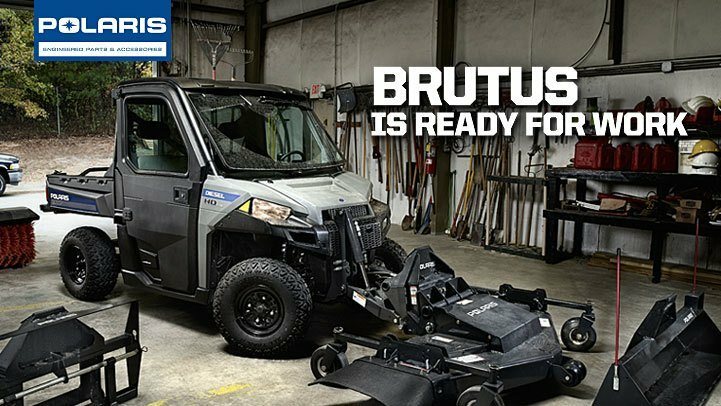 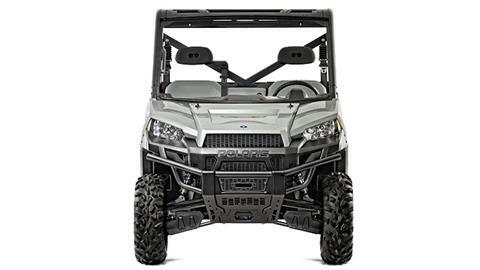 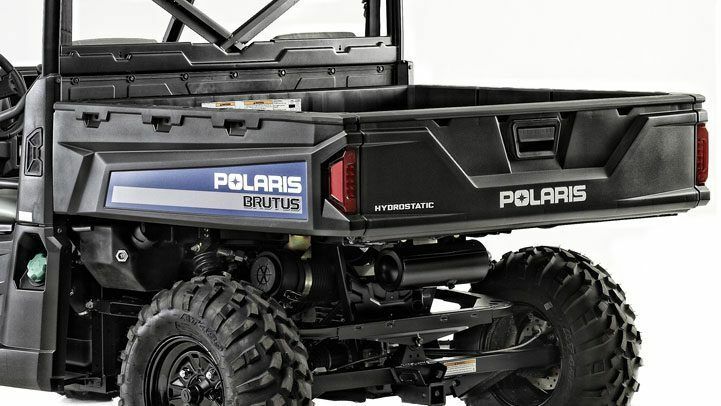 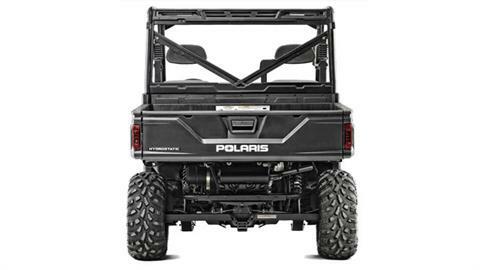 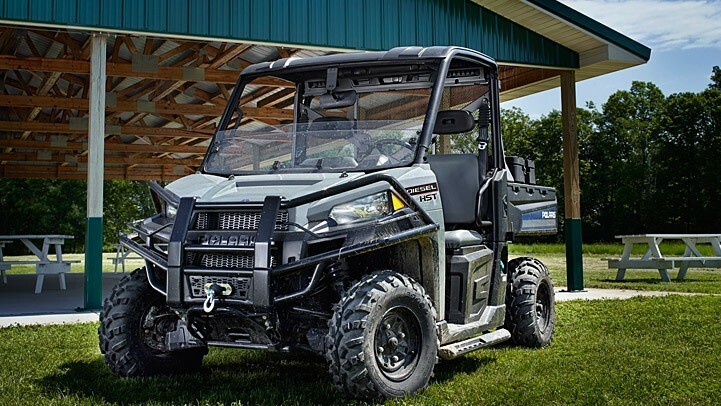 Diesel engine with hydrostatic transmission, treadle pedal, one-ton towing, on-demand true all-wheel drive and superior comfort and ergonomics, BRUTUS outworks the competition. 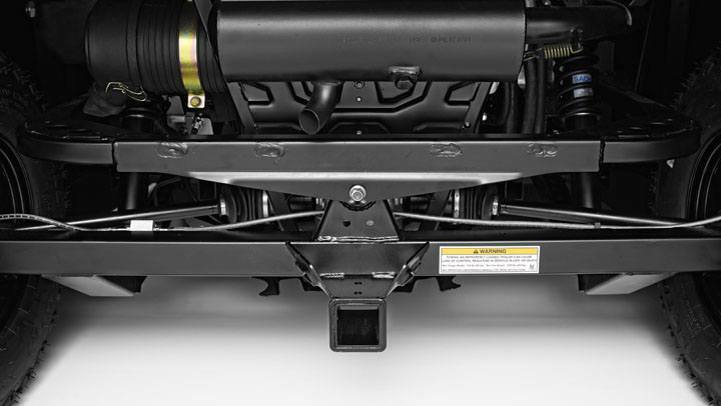 SUPERIOR CARGO STORAGE: Pallet-sized rear dump box with 1,250 lb. 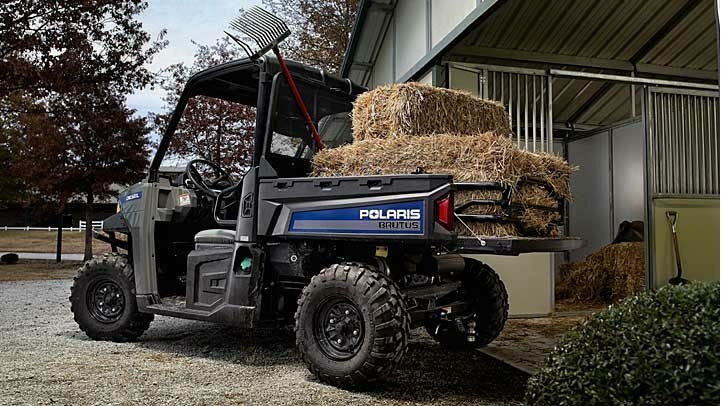 capacity features exclusive Lock & Ride® cargo system that accommodates many hard-working accessories that go on and off in seconds. LOCK & RIDE® PRO FIT™ CAB: Setting the standard in comfort and convenience, the optional Lock & Ride PRO-FIT cab components are pre-designed for the BRUTUS frame, lock in tightly for a secure cab system, and install in minutes. 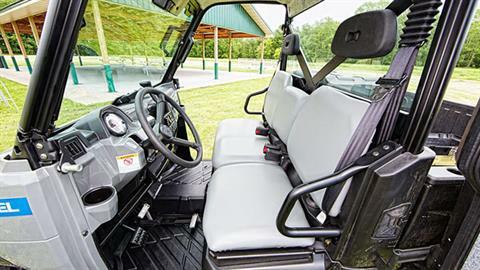 Choose any combination of windshield, roof, rear panel and doors to best meet your needs and budget.